When the original The Fast and the Furious film came out (kicking off the The Fast and the FuriousStarted as a film about undercover policing in the illegal street-racing community, this series has grown to encompass a number of different genres and become one of the most bankable franchises in the world. series) it was inevitable that imitators would come along to try and piggy-back on the success. Certainly there would be movies that tried to play in the same playground (both mockbusters and "real" films), but one of the first attempts to capitalize on that Furious magic was a TV series. Released in the fall of 2002, Fastlane promised Fast and Furious action on the small screen. 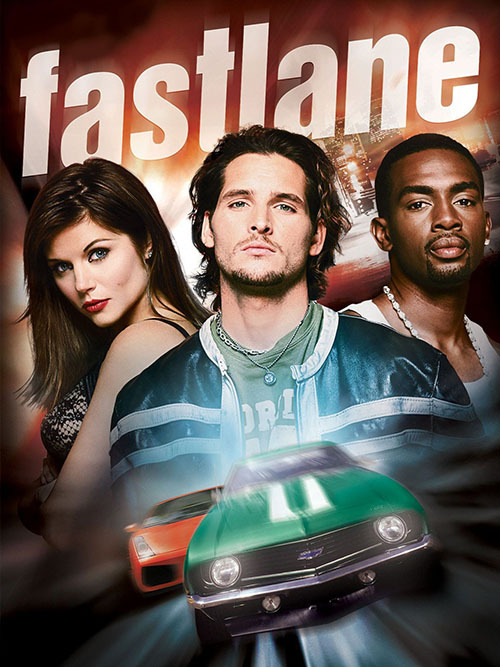 Created by mega-producer McG, Fastlane was a series that seemed like it could carry through on the promise of its premise. Like The Fast and the Furious, Fastlane focuses on cops infiltrating underworld organizations, posing undercover and driving really fast. To suit the Furious style, Fastlane featured all the big crashes, big explosions, and expensive supercars you'd expect. This, of course, made the show really expensive to make, a fact that likely lead to its cancellation. Well, that and the fact that the show was really stupid. Like, sub-Furious dumb at times (like a lot of clones of those movies). Ratings steadily dropped off for the series, and when coupled by the expensive production, the show was quietly canceled after one season. I'm not going to try to defend the show -- it was sub-par Furious in a medium that really couldn't support it. That said, Fastlane did have it's charms, especially in the early part of the season. 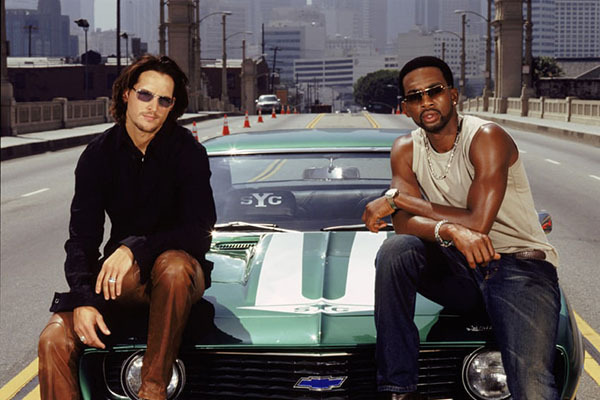 As we're introduced to them at the start of the series, Van Ray (Peter Facinelli) and Deaq Hayes (Bill Bellamy) are two undercover cops (who, of course, hate each other) thrown together to work an undercover case. To aid them is their boss, Billie Chambers (Tiffani Thiessen), and her headquarters of fast cars, expensive bling, and all the toys the cops could ever want to use on their missions. Their goal: stop crime whatever it costs. Whatever they seize they keep, and then whatever they keep they use. 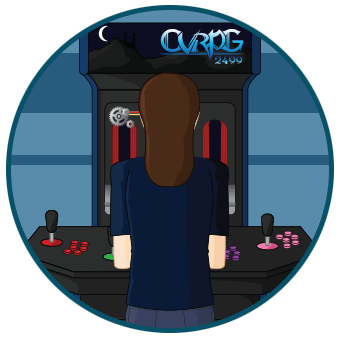 it's a constant source of upgrades for all the cool toys they get to play with in their Candy Store. It's an intriguing setup that, at the start, the series uses fairly well. The first episode especially manages to nail that Fast and Furious vibe with big chases and plenty of (TV appropriate) carnage. They then go after drug dealers, jewel thieves, and the like, all with flashy cars and big beats. It's everything you'd expect from Fast and Furious movies, of course, except without any of the start talent to make it work. Let's be clear: I don't think Facinelli or Bellamy are bad actors in any capacity. I've certainly liked them in other things they've been in -- Facinelli was a pretty decent Maxwell Lord in the CW's Supergirl while Bellamy... well, okay, this might be the biggest thing he's ever been in -- but neither of them had the presence of Vin Diesel, and to sell material this schlocky you've got to have that gravitas. Shows and movies like this are inherently dumb and the performances have to rise above the basic idea that any problem, no matter how big or small, can be solved with fast cars. It's dumb, patently stupid, and so far only the Furious films have been able to sell it, and credit for that belongs with Diesel. By comparison, Facinelli and Bellamy simply don't have the ability to make it work; it's like casting two versions of Paul Walker (from the first Fast and Furious) without realizing how bad an idea that is. Even worse, though, is Tiffani Thiessen as their chief. Thiessen was not a great actress in her early years, and she came into Fastlane with the largest credit to her name at the time being >Saved by the Bell. In short, she was ill-equipped to handle the role, lacking the needed gravitas to make the gruff chief work. Whatever version of the role she was trying for, her performance throughout the show was laughable. That's not to say she didn't get better, mind you. It just didn't happen on Fastlane. Here the actress was bad from the start of its 22 episode run until its end. No, it would be much later, on the USA show White Collar, where Thiessen actually showed acting talent. Not that a better performance from the actress could have saved this show. There's just so much wrong with the production that it was never going to be a success. As I noted the early episode started off well enough, but pretty quickly the show became very formulaic. This was a problem, mind you, that the Furious movies suffered from, but those films eventually (and wisely) reinvented themselves, over and over, to keep the concept fresh. Due to its set budget and need to produce episodes week-to-week, Fastlane could never get that chance. Once you settled into the show you realized that it's goofy charms wore thin and there just wasn't any meat behind it to sustain the series. Every episode worked the same way: The guys would arrive at the Candy Store to get their mission. Once they knew the case, one way or another, their undercover roles would be set and they'd get the materials (vehicles, guns, and sometimes location) they'd need to pull off the scheme. A mid-point twist would likely cause one or both of their covers to get blown, and then they guys would have to scramble to keep the case together and get the bad guys before they criminals escaped (or everyone ended up dead). Rinse and repeat that for the bulk of the 22 episodes and you have the one and only season of Fastlane. And that's repetitive nature is likely due to the fact that both the heroes on the show were cops. Bear in mind that the first Furious film got by on the dynamic between undercover cop O'Connor and anti-hero criminal Toretto. The film focused on these to characters, good guy and bad guy, to sustain an entire movie. None of the villains in Fastlane have that same nuance, basically being a parade of "villains of the week" for the cops to chase down and pursue. A show that gave us a villain for them to bounce off of, some underground crime boss with power and resources that the heroes have to slowly build a case against, could have worked. Certainly a show like that could have sustained the premise a whole lot better than Fastlane managed. Now that I think of it, I'm pretty sure I just invented a version of Billions, just with faster cars. McG, come talk to me. I have a pitch for you!